Everything was normal until you had some water instruction in your house. This water comes from many places and you don’t know where is actually coming from, how much water or damage you are dealing with it. You are worry and concern with this water because you know the longer it sits the worst it will get. 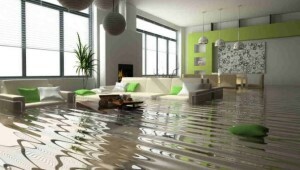 Don’t worry about your Water Damage Louisville KY. Your Walls and baseboards will absorb this water and start breaking down but that is not your main concern. You don’t want to deal with mold and if you don’t get a Professional Water damage Louisville Contractor to extract the water and dry all the structure professionally, wold will become your worst enemy. At Rodriguez Water Damage Louisville we understand your Situation. After a flood or a water back up, Rapid Response is crucial in order to prevent any future water damage or mold growing which can bring health issues to you and your family. An emergency water damage in any area of your home like your basement, kitchen or laundry room requires a professional restoration company. Rodriguez Water Damage Restoration Louisville is available to you 24/7 hours to take care of your emergency water damage. Our Emergency Water Damage Louisville Technicians will take action immediately and use the latest equipment and procedures to extract the water from the affected areas. Rodriguez Water damage Louisville priority is to clean up and restore your home and surrounded areas to the original situation. A crucial part in your water damage is the flooring, walls and other materials drying process, which will be closely monitored and documented to ensure your property is properly dried to prevent future water damage Louisville. Thermal Imaging Cameras, Moisture Meters, and Hygrometers are some of the specialty tools we use to find the sources of water and how much damage we are dealing with. Professional Water Damage Contractors need to make their decisions and assessments base of training, experience and reading from professional tools. Insurance Companies Rodriguez Works With It. At Rodriguez Water Damage Louisville your concerns and safety will always be a priority for us. We don,t Cut corner, we Restore them! Our 24-hour emergency water damage extraction team will always be there for you, in addition, you are getting the most reputable and high-end company in Louisville KY. The First action we will take is to ensure we do an outstanding water extraction service to accomplish a fast drying of all the materials in your House. Yes, It may Look wear to you but we use special tools to do our water damage extraction from your carpet and Pad. Our Equipment will allow us to get each drop of water on your floor. Better the extraction shorter the drying time. More money you can save. Our Goal is to bring you back to a normal situation as quick as possible. Every emergency water damage or flooded house is different and requires a unique solution. But the process stays the same. There are steps that always need to follow in order to restore your property. We have listed the steps that we follow to take care of your emergency flood situation or your property damaged by water here in Louisville KY.
An important step in any emergency water damage will be to protect yourself and your property. Check our Emergency Water damage Tips. For immediately assistant call or office at 502-365-6779. If You are in the need of an emergency water extraction services call right now. Our Professional Water Damage Technicians Will come out to your property within hours. Our IICRC Certified Water damage Louisville Technicians will explain all the steps we will follow to restore your home. Rodriguez Water Damage Services Process. When you call, Rodriguez Water Damage Louisville KY a customer service representative will ask you several questions that will help us to evaluate the situation and respond to your flood or water damage emergency quicker. The more information you give us the easier will be for us to assist you. Step 2 – Inspection . Rodriguez Water Damage emergency’s crew will carefully inspect your property’s water damage to determining the type of water damage and category, This category can change from clean water, gray water to black water that is mostly sewage or water coming from the outside. This is step is very important to create and organize an effective plan of action that will ensure a fast and successful restoration of your property. After any flood or water damage situation, hundreds or thousands of gallons of water get on your floors, wall and personal items. This water needs to be removed quickly. Rodriguez Water Damage Louisville uses powerful truck mount pumps and vacuums that will extract all this water. The Emergency Water Damage Response Crew will start working on the cleanup and extraction as soon as they can. They will do a very deep-down water extraction to prevent further damage and mold growing. We can also do a water extraction on your hardwood floor as well. The water in your Wall cavities will be dry it. When all the water is been extracted by Rodriguez Water damage Professionals. We will use specialized equipment like dehumidifiers, Air movers and some other equipment to dry the area that is been affected. The structure drying process is done by an evaporation process. They will try to save and dry as much as they can, which will save you time and money. We are not a construction company, we are a restoration company which means that we will save and restore as much as possible. Your Hard Wood Floor many times can be saved as well. At Rodriguez Water Damage Louisville we specialize in hardwood floor drying. We are trained and have the specialty equipment to dry the hardwood floors that will save you money and all the trouble of getting new expensive hardwood floors. Your Furniture, personal items, and belongings can be affected by the flood/ Water Damage. Rodriguez Cleaning Services can also help you with the cleaning of this items. They can clean and restore these items for you. 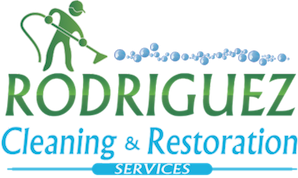 Rodriguez Cleaning Services will apply green cleaning antimicrobial to all the belongings, walls floors and every surface that was touched by the water. Our priority is to prevent mold growing from this water damage. The Most important part of our water damage restoration service is our 24/7 emergency water extraction service Louisville. Why is that? Very simple. 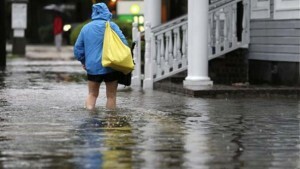 You have either 2″ inches of water or 4 feet of water in your basement, not matter how much water you have. The longer that water stays in your home the higher the risk for you to have mold and also the restoration work that needs to be done will be bigger. Why is that? Your Wall, Ceiling and many other materias will start absorbing this water or humidity. It all depends of what kind of water we are talking here but there two things that needs to happen. We either cut everything off and thru it away or we dry it out with professional drying equipment. A rapid response of any water damage situation is crucial and after showing up a good water extraction will reduce the drying time which will save you money on loss material due to high humidity and the drying cost will be lower too. Your Water Damage Louisville Service? Our Water Damage Louisville Service is design for those of you who go through that unexpected situation of a water leak, sump pump failure on your basement or sewage back that will damage your carpets, walls, hard wood floors and more. When water gets into those materials you will need a professional with right training and equipment. What is the right training? You need someone with IICRC certifications on water damage and Estructural Drying. Taking hands on training allows us to understand the science of drying and also to be able to mitigate the damage, basically stop the situation from getting worst. Stop the damage from getting worst is the is one of the goals of any water damage restoration company. Properly cleaning and drying will unsure you don’t have mold in your home. Having A Professional Water damage restoration company right away in in your home after a water damage situation will help you stop the humidity from spreading out in your house and this will save you money because you don’t have to dry out your entire home. Creating a contention plan will allow us to work on the original affected area. I am a contractor, Rodriguez has done cleanups for me on my jobs and on emergency water extraction. Very conscientious. Does an outstanding job.